Sharing with our neighbors has long been a big part of human society, and the rise of smartphones is making it easier than ever. Now with the click of a button, you can share a ride, rent a vacation home, and even get groceries delivered, all while enjoying cheaper prices and generating less waste. But have you ever wanted to borrow small-ticket, everyday items from those in your community? 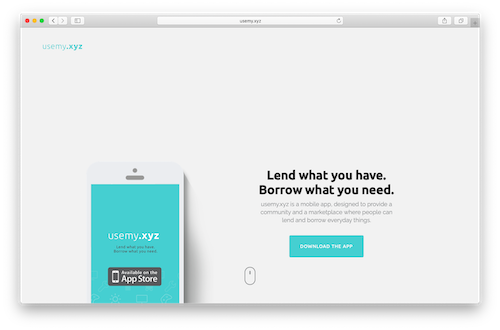 This week’s #WebsiteWednesday is featuring a brand new way to borrow anything you can think of; UseMy.xyz. UseMy.xyz is a new mobile app that allows peer-to-peer sharing of everyday things via their community-based platform. Users can borrow and lend out their bicycles, lawn mowers, and even video games for a daily fee. This San Jose-based start-up aims to promote a sustainable lifestyle and a healthy environment by helping to make sharing more prevalent. They reason that for every item that is rented or shared, a product is saved from being produced and consumed unnecessarily. To borrow something on UseMy.xyz, simply download the iOS app and browse the listed items by category, or search the products directly. 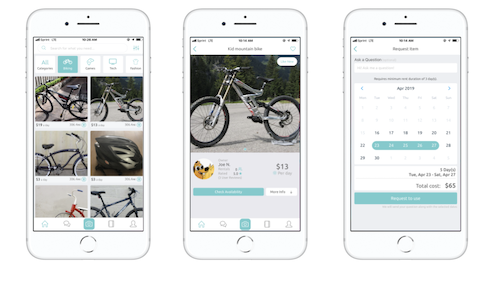 Lenders can list their product and fee directly on the app, then choose their preferred delivery method (pickup or dropoff). UseMy.xyz is already a huge hit with their neighbors in San Jose, and they plan to expand to even more communities across the country. UseMy.xyz and its founders are already being recognized as a mission-driven company and were even interviewed on The Town Kitchen’s blog. You can find UseMy.xyz on Instagram and Facebook using their expertly branded handle @usemy.xyz. If you’re interested in borrowing or renting an everyday item yourself, download UseMy.xyz’s 5-star rated app. 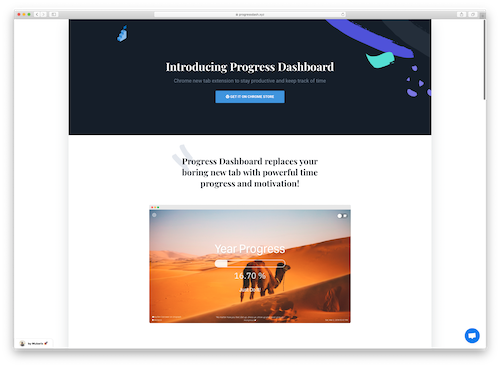 Once you’re there, be sure to take a peek at the Technology section to find the tools you need to build your next project, then launch on your own .xyz domain! 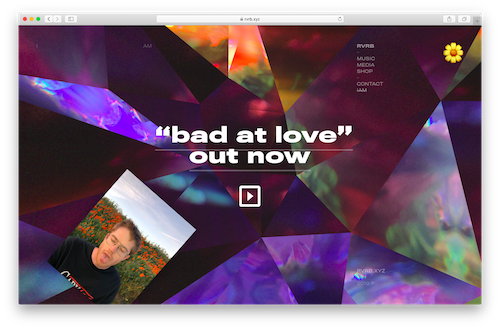 When we’ve accomplished something truly special, we often look back with a unique affection on the grueling journey that got us there. For drivers, runners, and fitness fanatics alike, that journey is often symbolized in a specific course which they have conquered. This week’s #WebsiteWednesday uses 3D printing to preserve their path to glory in a one-of-a-kind way; PrintMyRoute.xyz. 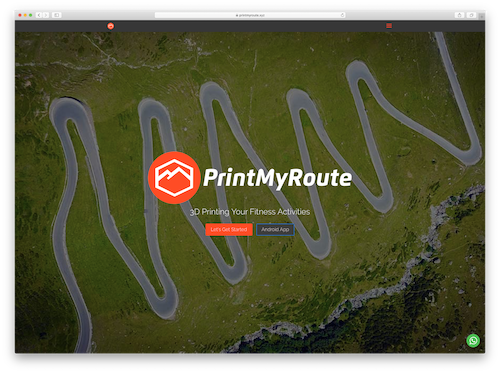 PrintMyRoute.xyz creates 3D printed models of exact geographic routes that can then be displayed as trophies on a shelf, framed as a 3D illustration over top of the original course, or even turned into a keyring. PrintMyRoute.xyz takes care to ensure each 3D printed route purchased is as exact as possible by allowing customers to submit their route via Under Armour’s or Strava’s popular mapping tools (or a GPX file), and backs up that quality service with custom engraving options, bespoke prints, and secure global shipping. The 12 machines on hand at PrintMyRoute.xyz have crafted over 3,300 unique prints which together have mapped over 250,000km. Their outstanding products have been a hit among endurance athletes and fitness gurus, and the business has been praised by Cycling Weekly, Red Bull, and BikeBiz, among others. PrintMyRoute.xyz also shares beneficial articles to their community of customers right on their website; a nice added bonus from a company that already helps you find greater enjoyment in your fitness challenges. Taking down a monster route or surviving a long marathon across seemingly endless miles of terrain is a truly special moment in any athlete’s life. With PrintMyRoute.xyz, that moment can be preserved and honored in a way that fits the reverence it holds for the person who completed it. Find out more about PrintMyRoute.xyz’s work by following them on Twitter or Facebook, or head to their site to commemorate your journey in a 3D print that will last a lifetime.